What can you check out at Cotuit Library? 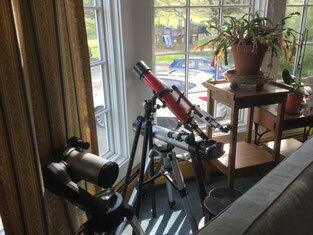 Well, other than books, we have magazines, DVDs of movies and TV shows, music on CD, audiobooks and even telescopes! If you can't find it on our shelves or in the CLAMS catalog, ask our staff about an inter-library loan. You can also access a tremendous amount of information from online reference books and databases. The Library has four public computer stations, plus eight laptops that can be used anywhere in the building. We have a public printer/copier (15 cents per page for black and white, 25 cents for color) and a fax machine ($1 for the first page, 50 cents for additional pages) that can also scan (free). You can use your own devices with our 24/7 WiFi, too. We also offer basic exam proctoring. 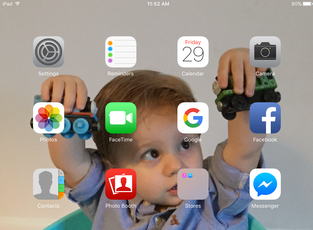 Need help with your new tablet? Having trouble getting your photos up on Facebook? Feel free to make an appointment with our Programming, Outreach and Technology Coordinator, Gus Aslanian, for a free, 30 minute tech help session. You can also take advantage of our free, weekly tech presentations at the Barnstable Senior Center (Tuesdays at 1:30 p.m., October to June), or our monthly in-Library tech class on the last Wednesday of the month at 2:00 p.m.. 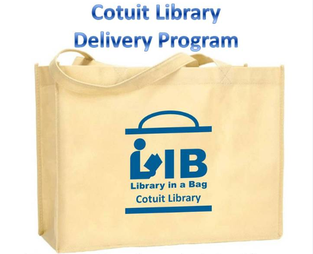 Residents and those staying in Cotuit, both adults and children, are eligible for our homebound delivery service if they are unable to get to the Library because of limited mobility or illness. If you or someone you know could benefit from this service, please use our form to contact us. We also have services for those with low vision and print disability, including a digital magnifier for in-Library use, the ability to obtain a Talking Books player and order titles for it, plus a collection of Talking Book cartridges on loan from Perkins Library. The Mission: For today’s school children, a home computer is an essential educational tool. Children who do not have access to a computer outside of school hours suffer more and more of a disadvantage the further they progress through the grade levels. Local businesses and individuals donate gently used laptop computers to the Masonic Angel Foundation, Inc.. The Laptop for KidZ Project’s volunteer staff refurbish the computers and make them ready for distribution to schools through the Masonic Angel Foundation’s partners in local school systems. 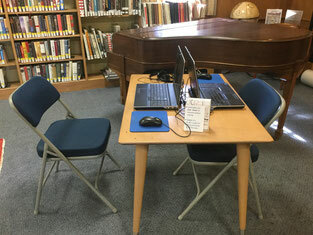 The Cotuit Library's Role: We are a collection center for the donated laptops. Your Role: Bring in your used laptops (personal and/or business) to the Library, and the Angel Foundation will take it from there. Read the article below for a peek into the program's success!